The summer before her junior year, paleontology geek Natalie Page lands a coveted internship at an Ice Age dig site near Austin, Texas. Natalie, who's also a plus-size fashion blogger, depends on the retro style and persona she developed to shield herself from her former bullies, but vintage dresses and designer heels aren't compatible with digging for fossils. But nothing is going to dampen her spirit. She's exactly where she wants to be, and gets to work with her hero, the host of the most popular paleontology podcast in the world. And then there's Chase, the intern, who's seriously cute, and Cody, a local boy who'd be even cuter if he were less of a grouch. 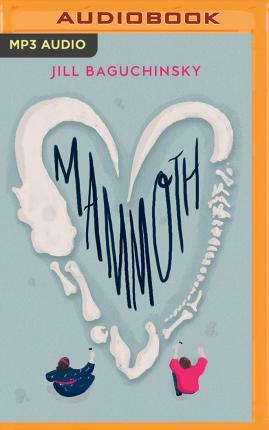 It's a summer that promises to be about more than just mammoths. When Natalie's paleontologist hero turns out to be anything but, and steals the credit for one of her accomplishments, she has to unearth the confidence she needs to stand out in a field dominated by men. To do this, she'll have to let her true self shine, even if that means defying the rules and risking her life for the sake of a major discovery. While sifting through dirt, she finds more than fossils―she finds out that she is truly awesome.